Combine almond flour, pink salt and nutritional yeast in bowl. In separate bowl, whisk together egg, coconut oil, and vinegar. Pour wet ingredients into dry ingredient bowl and stir until dough forms. Place dough between two sheets of parchment paper and use rolling pin to flatten to about ⅛ inch thickness. Cut dough into 10 rows of 7 squares using sharp knife or pizza cutter. Re-roll remaining, outer edges, of dough and cut into 7 additional squares. Sprinkle crackers with additional pink salt, if desired. 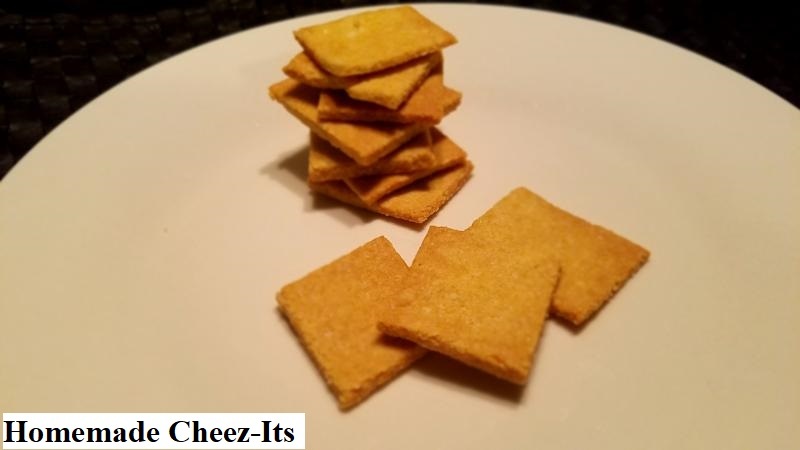 Slide bottom piece of parchment and crackers onto baking sheet. Bake for 12-15 minutes, until golden (Outer crackers will brown faster, so be sure to browned crackers and continue baking remaining crackers until all are golden).